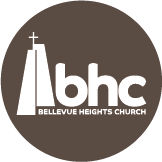 The Bellevue Heights Church Bowling Club is alive and doing very well at Bell Lanes in Sun City every Saturday at 10:00 AM. Everyone is welcome. We have spectators who show up every week to cheer us on. This is not a league. We bowl to exercise, socialize and for enjoyment, not for the scores. Come and join us for fun and fellowship—even if you don’t bowl.